Oysters two ways (East and West Coast) from the new spring menu at Tobiuo Sushi Bar. Photo by Carlos Brandon. Spring has sprung! Pollen is in the air, the daily forecast is a toss-up and for two beautiful months, everyone cares about baseball. It’s time to take a look at which of our city’s eateries are rolling out patio-friendly, Easter-inspired, crave-inducing spring menus. The following fifteen restaurants range from fine dining establishments to casual burger joints and everything in between. The selection of spring specials and new menus is sure to inspire an outing or two while the weather outside is still safe for human exposure. Enjoy! Smoked Chicken Salad at TRIBUTE at The Houstonian. Photo by Phaedra Cook. TRIBUTE at The Houstonian, 111 North Post Oak: Executive chef Neal Cox at this recently debuted, cozy-but-elegant restaurant has not only updated customer favorites with springtime ingredients but also made some clever additions. True to the restaurant name, he’s paying “tribute” to the Goode family (of Goode Co. BBQ and more) by using their excellent jalapeño cheese bread as the toasty base for a slather of creamy guacamole and then a heap of Smoked Chicken Salad. This meaty wonder gets its pep from a vibrant cabbage slaw. 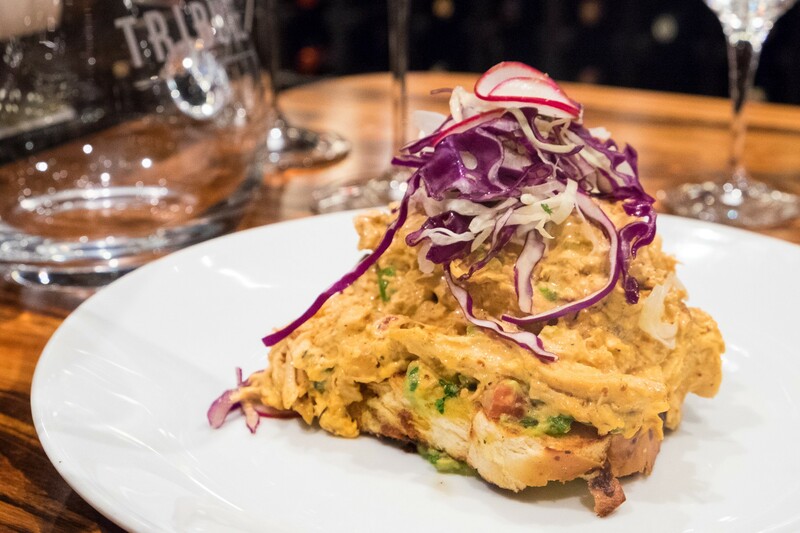 For each of Cox’s dishes, wine director Vanessa Treviño Boyd’s has a perfect match. Try, for example, Dragonstone Riesling (a gentle wine with a fierce name) alongside Bacon-Wrapped Bandera Quail or Wind Gap Winery’s light red Soif with the oh-so-classic Snapper Papillote. No matter what, end with the Buffalo Bayou Mud Cake, a dessert reminiscent of Cracker Jack thanks to the addition of peanut butter ice cream and crunchy, chocolate-covered corn flakes. Reservations can be made online or by phone at (713) 685-6713. TRIBUTE at The Houstonian is open daily 6:30 a.m. to 3:00 p.m. and 5:00 to 10:00 p.m.
Antone’s Famous Po’Boys, various locations: In April, Antone’s Famous Po’ Boys is introducing new menu items that pay tribute to the restaurant’s Mediterranean roots, including a selection of flatbreads such as the Jalal (named after founder Jalal Antone) — a flatbread po’boy featuring ham, salami, provolone, chow-chow relish, mayo and dill pickles. The new menu items will be available at Antone’s West Loop and North Loop restaurants, along with the Medical Center one slated to open later this summer. For locations and hours, visit the website. 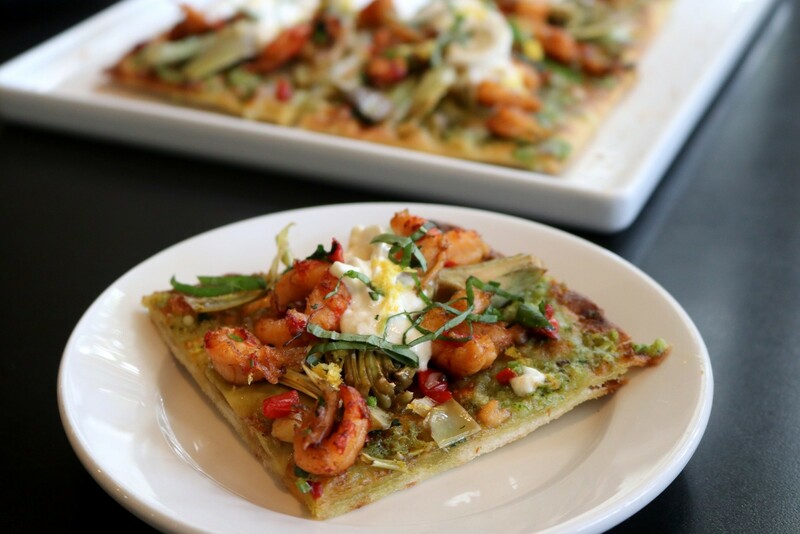 Crawfish flatbread from Backstreet Cafe’s spring menu. Photo courtesy of Backstreet Cafe. Backstreet Cafe, 1103 South Shepherd: The River Oaks landmark, famous for its seasonal menus created by co-owner and executive chef Hugo Ortega, is celebrating over 35 years in business. This year’s spring menu features crawfish, a Gulf Coast favorite, and artichokes. Highlights include whole grilled artichoke with garlic, butter and lemon, as well as a mouthwatering crawfish flatbread with artichoke pesto, crawfish, burrata, basil, lemon and red pepper flakes. Available all day, the light and colorful menu takes a fine-dining approach to crawfish season, pairing the southern staple with an Italian favorite and Cajun, Creole, Hispanic and Asian influences. Backstreet Cafe is open Monday through Thursday from 11 a.m. to 10 p.m., Fridays from 11 a.m. to 11 p.m, Saturdays from 10 a.m. to 11 p.m. and Sundays from 10 a.m. to 9 p.m. Reservations can be made online or by phone at (713) 521-2239. 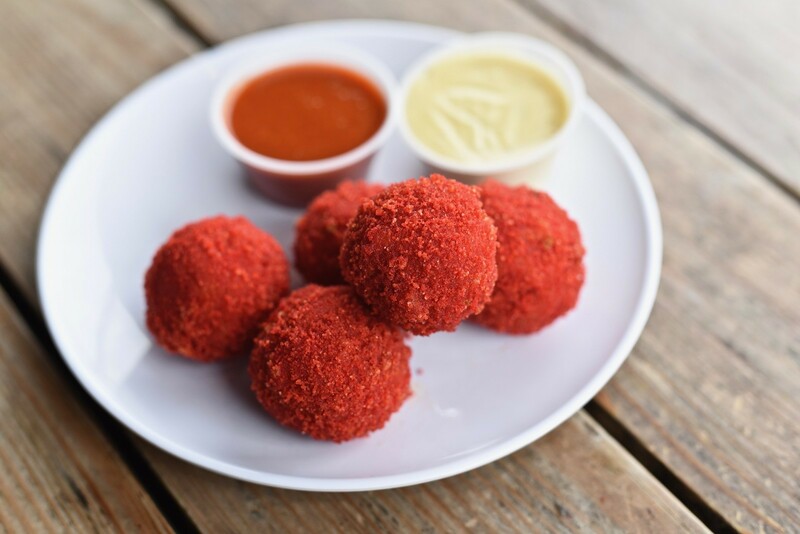 Hot Cheetos Mac N’ Cheese balls from Bernie’s Burger Bus. Photo by Kimberly Park. Bernie’s Burger Bus, various locations: Justin Turner’s ever-growing local burger chain just opened its fourth brick-and-mortar location in Missouri City, so our readers on the southwest side are that much closer to enjoying Bernie’s spring Field Trip Menu. The seasonal menu features four new heart-stopping indulgences — starting with Hot Cheetos mac n’ cheese fire balls: balls of fried mac n’ cheese with a spicy Hot Cheetos crust. Also on the menu are green-chili queso fries, a chicken Caesar burger and a white chocolate Oreo shake: vanilla ice cream blended with white chocolate-covered Oreos, chocolate sauce, fresh whipped cream and Oreo crumbles. We’d say this lineup is definitely worth a field trip. Bernie’s Burger Bus has locations in Katy’s La Centerra, the Heights, Missouri City and Bellaire, as well as the original Bernie’s food truck which still makes occasional stops. Check the website for locations and hours. 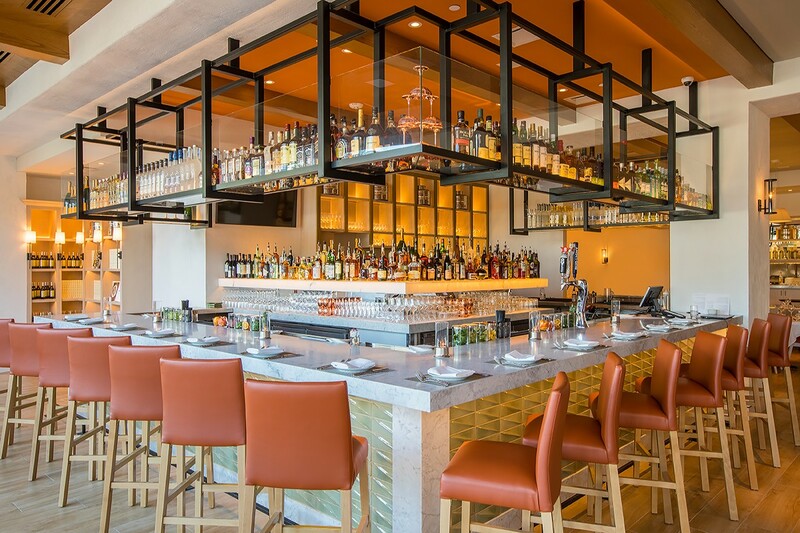 The bar at Fig & Olive in The Galleria. Photo by Shannon O’Hara. Fig & Olive, 5115 Westheimer: Executive chef Thomas Laczynski aims to keep his seasonal menus locally inspired and sourced, despite the company’s national footprint and Mediterranean flare. The Galleria restaurant has a heavy focus on high-quality olive oil and French-Italian fare. The spring menu includes squid ink spaghetti with harissa oil, clams, bottarga and lemon zest; the F&O Bar Steak, a petite filet topped with chimichurri; and duck tajine with spiced jus, served with couscous and a duo of harissa and charmoula sauces. Fig & Olive is open Sunday through Thursday from 11 a.m. to 10 p.m. and Friday through Saturday from 11 a.m. to 11 p.m. Reservations can be made online or by phone at (832) 632-6632. 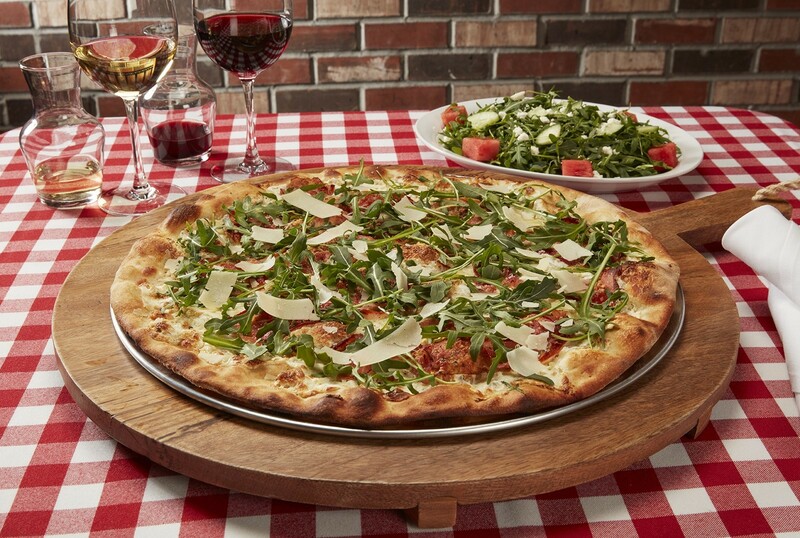 Grimaldi’s, various locations: Stop into your neighborhood Grimaldi’s for a slice of prosciutto arugula Pizza from the company’s 2019 spring menu. A classic brick-oven fired white pizza topped with thinly sliced prosciutto, fresh arugula and shaved Parmesan. Also on the menu is a watermelon arugula salad with diced watermelon, mint, cucumber and feta tossed in a watermelon vinaigrette. For dessert try the caramel coconut or banana cream cheesecakes. Grimaldi’s has multiple locations throughout the Houston area, open Saturday through Saturday from 11 a.m. to 11 p.m. Find the closest one online. Rainbow trout with bacon Brussels sprouts from Jonathan’s the Rub. Photo courtesy of Jonathan’s the Rub. Jonathan’s The Rub, 12505 Memorial: Jonathan’s The Rub Memorial Green location has launched an all-new lunch menu for spring and has added a few new dishes for dinner. The lunch menu includes a full makeover of the restaurant’s salad offerings, which include an Israeli salad with mixed greens, tomato, cucumber, red onion, mint, parsley, feta and lemon herb vinaigrette and an Asian-style salad with spinach, cabbage, carrots, celery, red onions, cilantro, and sesame dressing. 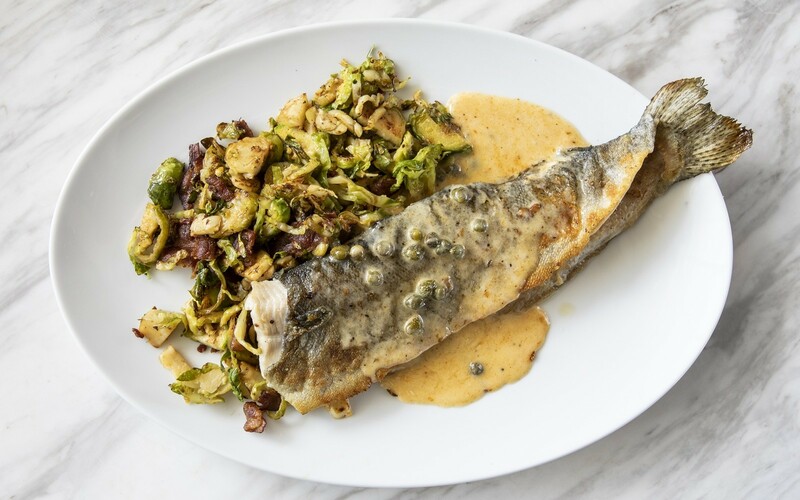 New spring entrees include the impressive-looking rainbow trout with bacon Brussels sprouts, capers and a pecan brown butter. The Memorial Green location is open Monday through Wednesday from 11 a.m. to 9 p.m., Thursdays and Fridays from 11 a.m. to 10 p.m., Saturdays from 5 p.m. to 10 p.m. and Sundays from 10 a.m. to 2 p.m. Reservations can be made by calling (713) 808-9291 or by going online. La Lucha, 1801 North Shepherd #A: Houston’s new favorite joint for fried chicken and oysters is currently offering crawfish by the pound until the end of the season. Ford Fry’s ode to his Gulf Coast pays homage to his roots with market-price mudbugs served on the sprawling patio. Dipping sauces are available for $0.50 each and bids and table liners are provided. Minimum order of three-pounds. La Lucha is open Monday through Thursday from 5 to 10 p.m., Fridays from 5 to 11 p.m., Saturdays from noon to 11 p.m. and Sundays from noon. to 10 p.m. Reservations can be made online or by phone at (713) 955-4765. Texas Akaushi Cheeseburger from the spring prix fixe menu at La Table. Photo by Becca Wright. 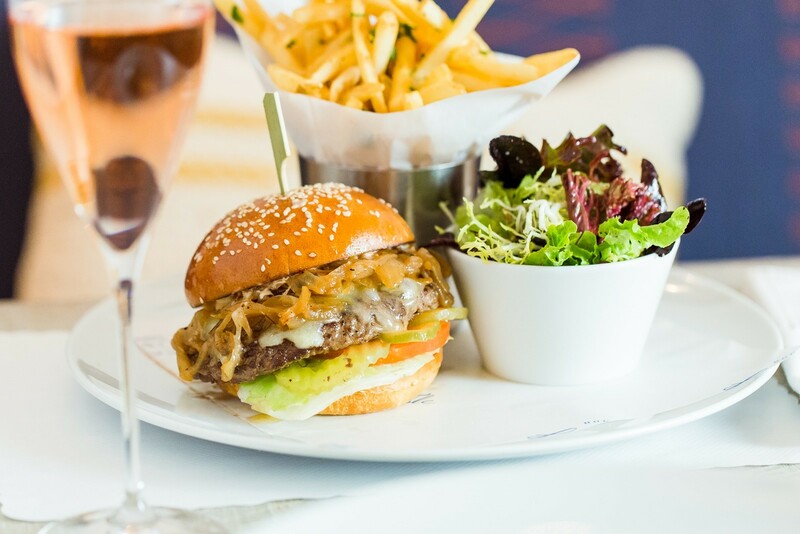 La Table, 1800 Post Oak: Post Oak’s ultra-chic French double concept is rolling out two delicious ways to enjoy the warmer weather. The dual-level restaurant is introducing a spring “Punch-Brunch” on Sundays, while the more casual lower level, Marché, is serving a spring prix fixe menu on weekdays. Prix fixe menu highlights include a roasted beet tartare appetizer with goat cheese and hazelnuts on a bed of frisée salad; chicken salad tartine with white bean hummus, pomegranate and arugula on country bread; and grilled Scottish salmon with baby turnips, shishito herb butter and orange vinaigrette over rice pilaf. The Sunday “Punch-Brunch”, served from 11 a.m. to 3 p.m., is a punch-bowl happy hour serving two unique and shareable punch-bowl cocktails for $45 each. The first is a sparkling white tropical punch with rum, orange juice, pineapple juice, champagne and rosemary simple syrup. The second is a green tea punch with rum, green tea, mint tea, lime juice and simple syrup. Both serve 2-4 people and can be enjoyed alongside weekly brunch specials or the full Marché à la carte menu. La Table is open Monday through Thursday 11 a.m. to 10 p.m., Fridays and Saturdays from 11 a.m. to 11 p.m. and Sundays from 11 a.m. to 3 p.m. Reservations can be made online or by calling (713) 439-1000. Mastrantos, 927 Studewood #100: Chef Tony Castillo, formerly of Tiny Boxwoods, heads up the kitchen of this new, globally inspired Heights concept. The upscale restaurant with Latin American influences opened in December promising to bring culturally diverse, locally sourced and minimally processed fare. Castillo recently launched his spring 2019 seasonal menu, featuring a curry scallop crudo with curry leche de tigre, green papaya, Thai peppers, onion and sea salt. Other menu highlights include pan-seared snapper with fava beans, farro, pistachios, mint, green apples and gremolata; ancho rub flank with ancho and guajillo pepper rub, white rice, kimchi and cucumber; and several new creations from the restaurant’s “Dough Lab”. Mastrantos is open Tuesday through Friday from 7 to 11 a.m. and 5 to 10 p.m., Saturdays from 8 a.m. to 1 p.m. and 5 to 10 p.m. and Sundays from 8 a.m. to 1 p.m. Reservations can be made by phone at (346) 202-7392. Cadbury Egg Macaron at Oh La La Dessert Boutique. Photo by Dragana Harris. 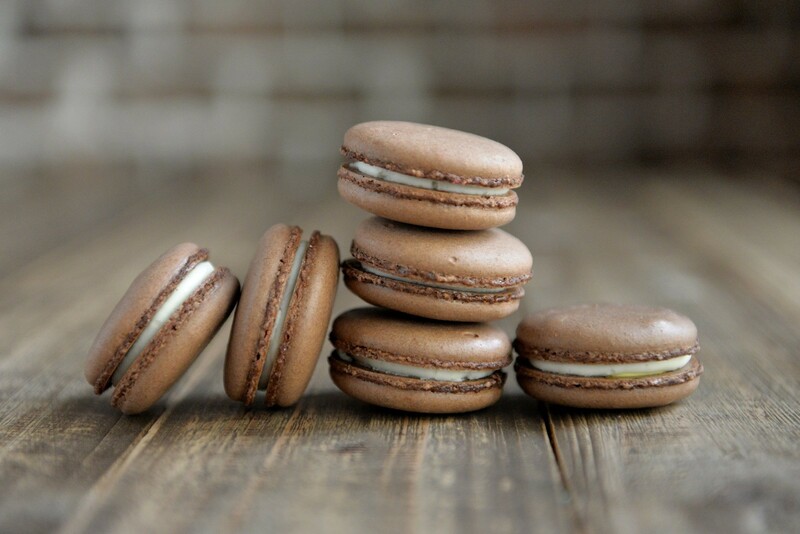 Ooh La La Dessert Boutique, various locations: Local pastry chef Vanessa O’Donnell is offering up three mouth-watering monthly specials during the month of April at all three Ooh La La locations. The April features include a trio of Easter-inspired goodies including the Pink Snowball Cupcake, an upscale take of that eternally underrated Hostess classic, as well as Cadbury Egg and Apricot-Orange Macarons. The Cadbury macaron consists of a chocolate shell concealing a buttercream “egg” with a yellow yolk-like center, while the apricot-orange is an orange macaron shell drizzled with orange white chocolate and filled with apricot-white chocolate ganache. The crave-inducing treats won’t be available long, so don’t miss out. Ooh La La has two locations in Katy and one in Town and Country Village. Check the website for locations and hours. The Original Ninfa’s on Navigation, 2704 Navigation: The James Beard-semifinalist has rolled out four seasonal specials from the mind of executive chef Alex Padilla. Spring specials include roasted oysters on the half shell topped with mole-rubbed Gulf blue crab, pork chop torta a la milanesa topped with carnitas on bolillo bread, and conejo en mole rojo — wood-oven roasted rabbit in a red mole sauce with pistachios, toasted sesame seeds, and fresh herbs. The Tex-Mex institution also introduced a list of seasonal cocktails that includes a hibiscus margarita, a cucumber mint margarita and a guava paloma with silver tequila, guava purée, fresh lime juice and grapefruit Topo Chico. The Original Ninfa’s is open Monday through Thursday from 11 a.m. to 10 p.m., Fridays from 11 a.m. to 11 p.m., Saturdays from 10 a.m. to 11 p.m. and Sundays from 10 a.m. to 10 p.m. Reservations can be made online or by phone at (713) 228-1175. Poitín Bar & Kitchen, 2313 Edwards: When owner Ian Tucker opened Poitín last year, he set out to create a cultural melting pot with an Irish bar program, a southern-inspired menu and a contemporary urban feel. This year, executive chef Dominick Lee has rolled out a completely new spring menu featuring greens and farm-fresh eggs sourced locally from Urban Harvest’s Saturday Farmers Market. Highlights include a vegan jambalaya with mushrooms, long grain rice and spring vegetables; bone-in pork belly with grilled corn, hazelnut and miso caramel; and whole fish with hickory bacon and wild rice. On the dessert menu is Foie-La — foie gras ice cream with chocolate choux, pistachio and red fruit. The menu reflects the chef’s New Orleans heritage and close familiarity with both Asian and Indian cuisines. Poitín is open Monday through Thursday from 3 to 11 p.m., Fridays from 3 p.m. to midnight., Saturdays from 10 a.m. to midnight and Sundays from 10 a.m. to 11 p.m. Reservations can be made online at or by phone at (713) 470-6686. 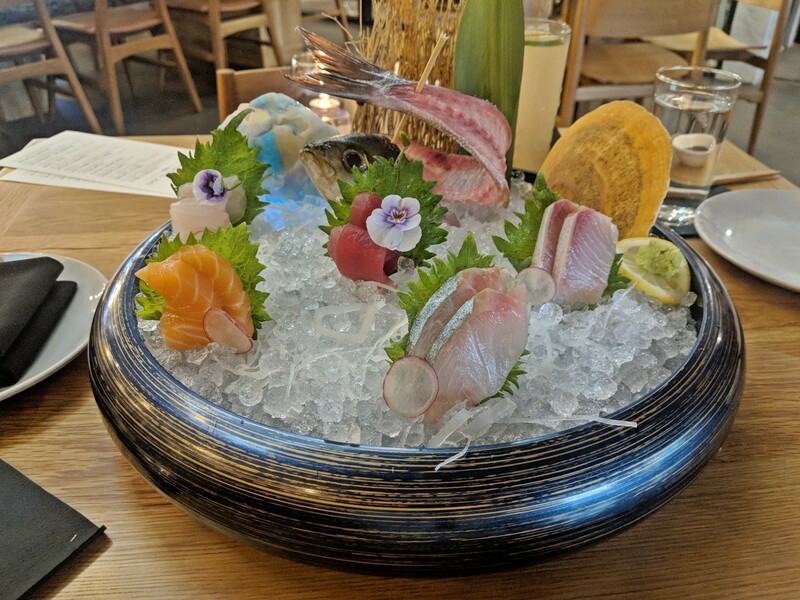 Roka Akor, 2929 Weslayan: The Houston outpost of JNK Concepts’ acclaimed sushi bar and steakhouse, Roka Akor, offers seasonal specialties inspired by global and Japanese seafood markets. Each spring brings new limited-time sushi specials and this year there are a number of unique items including firefly squid — baby squid from Hyōgo Prefecture, Japan — and young spring salmon. The squid is boiled, wrapped in a band of seaweed, seasoned with miso mustard and, at $7 for two pieces, served nigiri style. The wild spring salmon is marinated for two hours, finished with a touch of soy and served sashimi or nigiri-style with pickled sakura flowers at $12 per two pieces. Roka Akor is open Monday-Friday from 11:30 a.m. to 2:30 p.m. and daily from 5 to 11 p.m. Reservations can be made online or by phone at (713) 489-6717. Tobiuo Sushi Bar, 23501 Cinco Ranch Boulevard: Chef Mike Lim’s Katy sushi bar, Tobiuo, has quickly become one of the Houston area’s most highly rated restaurants. Lim’s seasonal menus and omakase experiences are elevated, contemporary takes on traditional sushi. 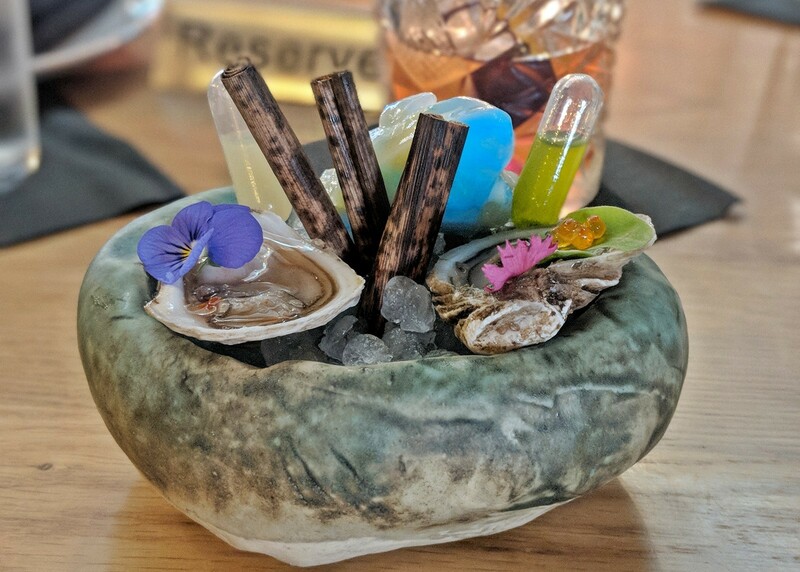 The restaurant, in the upscale La Centerra shopping district, recently rolled out its 2019 spring menu featuring a creative array of raw and cooked small plates. Highlights include the artistic Oysters Two Ways: one East Coast and one West Coast oyster served with cucumber and champagne vinaigrette, Japanese Tabasco, micro cucumber and wasabi chive oil. Also on the menu are the Chef’s Sashimi Platter (an assortment of sashimi cuts served on ice and presented as seen above); pork belly with miso honey and pickled cabbage; and a plate called Burning Ocean — uni served on nori chips and smoked table-side with torched kombu (kelp) leaves. Tobiuo is open Monday through Thursday from 3 to 9:30 p.m., Fridays and Saturdays 11 a.m. to 11 p.m. and Sundays from 11 a.m. to 9:30 p.m. Reservations can be made online or by phone at (281) 394-7156. Disclosure: The Houstonian is a current Houston Food Finder sponsor.